A cargo freighter which began taking on water near Orkney has been towed into harbour. The Barbados-registered Skog ran into difficulty north west of Westray on Tuesday morning. An emergency towing vessel was sent to the scene and a coastguard helicopter carried water pumps out to the ship. 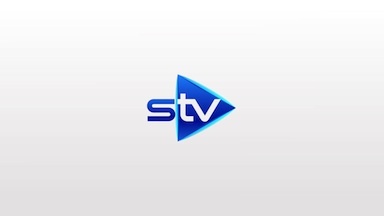 The Skog, which was carrying a shipment of paper from Norway to Clydeport, was towed into Kirkwall with all ten crew aboard at around 2am on Wednesday. A spokesman for the Maritime and Coastguard Agency (MCA) said: "After the vessel reported that it was drifting without engine power and taking in water this morning, Shetland Coastguard sent the coastguard rescue helicopter to the scene and requested the Stromness and Kirkwall RNLI all-weather lifeboats. 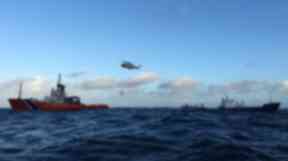 "The MCA's emergency towing vessel Herakles was also sent to assist the vessel and stand-by vessel Vos Hera also attended. "The ten crew members remained on board and pumps were transferred on board the Skog by the coastguard helicopter."